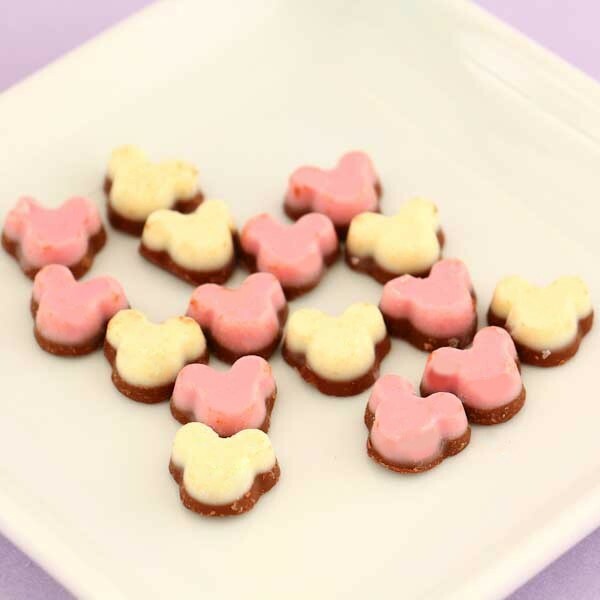 Cheer up your day with cute chocolate! 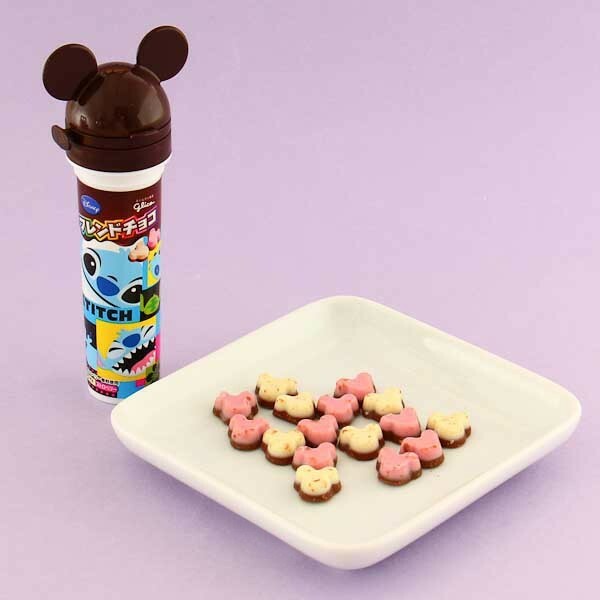 Glico's delicious chocolate combined with Disneys's most loved characters can't go wrong! These cute Disney bottles have cute Mickey Mouse shaped chocolates inside them. There are two different chocolate topping on the delicious milk chocolate. One has white chocolate on top of the milk chocolate and the other has pink chocolate on top of the milk chocolate. Nevertheless, they both are a strawberry flavor! You can easily carry the package around in your bag or purse and even reuse it!